When the weather is warm and we start spending more and more time outside, dealing with bugs and bug bites is inevitable. But instead of giving up and not doing anything OR spraying yourself with harmful chemicals, first try some natural preventatives and remedies. These tips aren’t very difficult and they can make your journey to a more natural lifestyle a little easier (and bug bite free). Just one of lavender’s many uses is to keep bugs away. They just don’t like the smell! You can utilize lavender a couple ways, you can grow it around your home (or in your home!) or you can put drops of it on your skin. Lavender plants both look beautiful and smell great, so that is just an additional benefit of growing them around your home. If you choose to put lavender on your body, like on your wrists, behind your ears, or on the back of your neck to ward off bugs, you’ll also be benefiting from its calming properties. If you’ve been bitten by a bug, lavender is one of the only essential oils that you can apply directly to a bite. Its calming and anti-inflammatory properties will also work to soothe your bites heal them more quickly. Just like lavender, bugs don’t like the smell of peppermint. 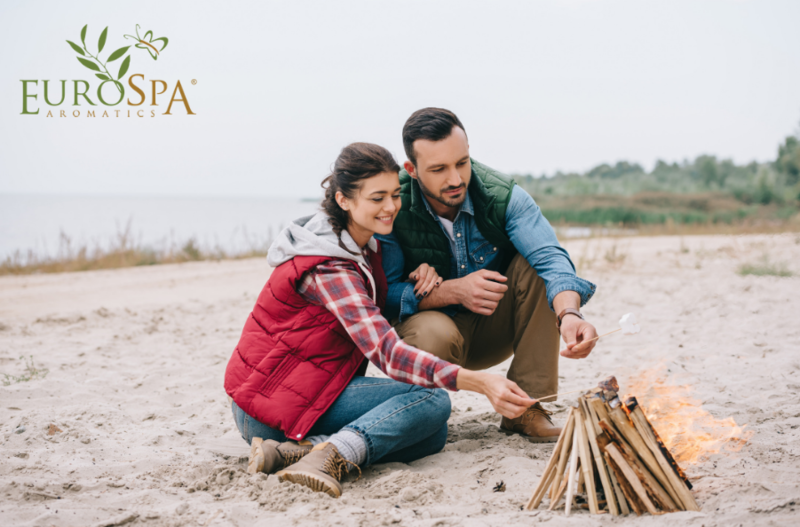 You can put some drops on your skin diluted with a carrier oil like fractionated coconut oil or jojoba oil, or around the area that you’ll be outside, like your tent or patio. If you have been bitten, peppermint is great for itch relief and minimizing inflammation when rubbed into the area when diluted with a carrier oil. The cooling relief will really help to calm your itchiness and it will prevent more bugs from bothering you. Bonus points: you’ll also smell really great. This essential oil is best known for its pain-relieving, itch-stopping, swelling-reducing qualities. If you have bug bites that won’t stop itching, use tea tree oil diluted in a carrier oil for some relief as well as stopping bacteria from forming and making the bite worse. Studies have been done where tea tree oil has beaten out other medications. Amazing! This essential oil is definitely one of our favorites! It is multi-functional and can be used to prevent bugs from biting you. The easiest way to do this is by bringing along one of our 100% Pure Eucalyptus ShowerMists (we also have travel sizes as well) and spray your body as well as the area around you. While you are spraying, you’re also getting all the other great benefits of eucalyptus. This essential oil is antibacterial, antifungal, antimicrobial, antiviral, decongestant, and anti-inflammatory. If you want to get the benefits of eucalyptus AND the other essential oils mentioned above, you can pick up an infused 100% Pure Eucalyptus ShowerMist that contains them! How do you keep bugs at bay with natural products? We’d love to know in the comments!